Good morning. It's Thursday, Aug. 2. • Google plans a censored version of its search engine in China. • Three hotels earn a coveted trifecta of five-star ratings. • And the crazy popularity of a vintage California license plate. 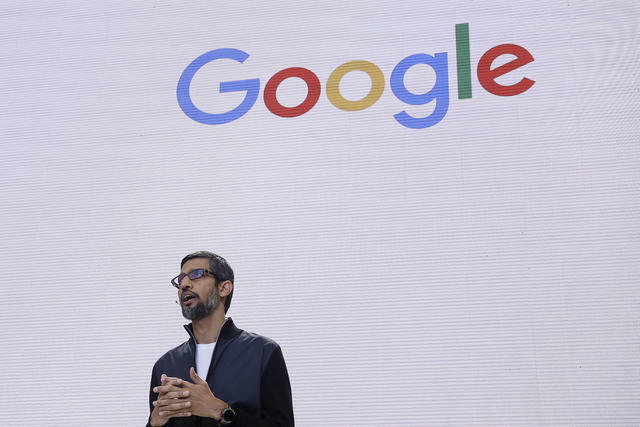 Sundar Pichai, Google's C.E.O., met with a top Chinese official last December. So much for "Don't Be Evil." Google is planning to launch a censored version of its search engine in China that will blacklist websites and search terms about human rights, democracy, religion, and peaceful protest, according to documents leaked to The Intercept. It's a dramatic about-face for the Mountain View company, which pulled its search engine out of China eight years ago over concerns about the "forces of totalitarianism." But it's also perhaps unsurprising, given the enormous revenue stream represented by China's 750 million Internet users. A source with knowledge of Google's plans told The Intercept the public should know what's going on. "I'm against large companies and governments collaborating in the oppression of their people," the person said. Read the story in The Intercept. President Trump abused his authority by trying to strip sanctuary cities of federal funding, a U.S. appeals court ruled. Presidents do not have the right to withhold funding to further their policy goals, the court said. The decision was a blow to Trump's effort to punish California jurisdictions that limit police cooperation with immigration agents. Republican House members from California's agricultural heartland are being squeezed between supporting President Trump and doing right by the people they represent. They sent a letter to the Trump administration warning that the president's trade war had already cost their constituents $2 billion. 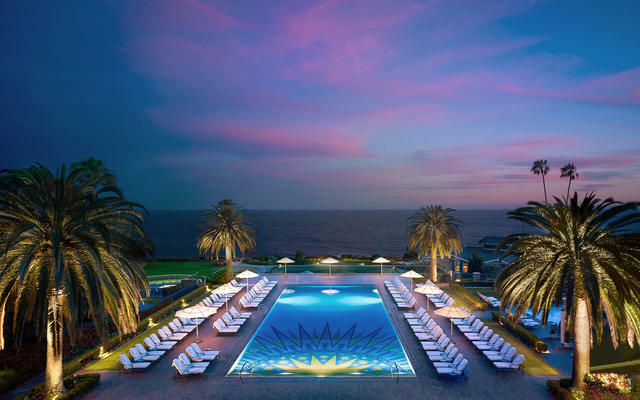 Forbes said the grounds of the Montage Laguna Beach are "irresistible." The prestigious Forbes Travel Guide ranks luxury resorts by the quality and service of the hotels, restaurants, and spas. This year, only three in California achieved the coveted trifecta of five-star ratings. They're located in San Diego, Laguna Beach, and St. Helena. 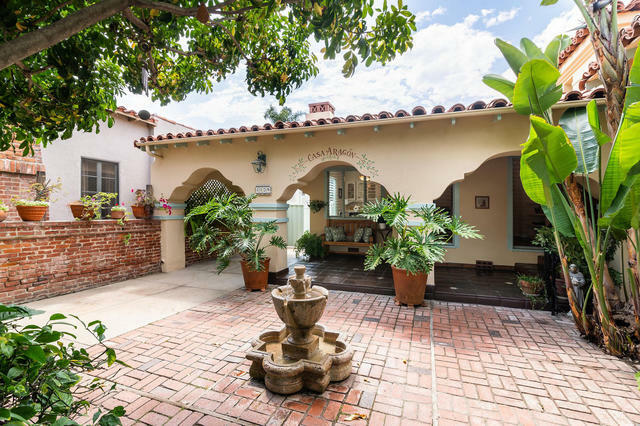 At the heart of a West Los Angeles home is a brick courtyard with a fountain. A 1934 Spanish Colonial revival home with a brick courtyard, a 2008 custom-built house on three acres with 180-degree mountain views, and a redesigned 19th-century house with 12-foot ceilings. Here's how much house can you get for $1.9 million in Los Angeles, Anchorage, and New Orleans. 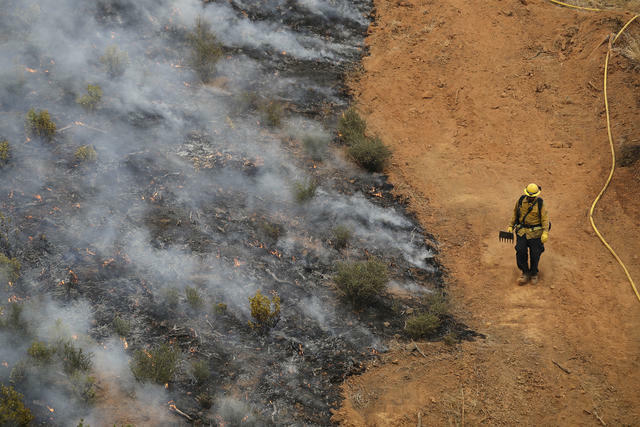 A firefighter walked along a containment line in Redding. Roughly three dozen Redding firefighters searched the charred landscape for remnants of their fallen colleague, Jeremy Stoke. “We’re doing this for our brother," one said. "We want to give his family something to hang on to.” But they didn't have much time. For the firefighters working 24- and 36-hour shifts, grief comes second to duty. “When you look at the radical environmental fringe, there’s no question they are tied closely to the Communist Party. I have the documents that can prove it.” That was Central Valley congressman Devin Nunes in 2014 railing against water restrictions during a severe California drought. In a column, the longtime journalist Mark Arax said Nunes has long gravitated to conspiracy theories. David Casarez, a web developer from Texas, came to Silicon Valley with dreams of launching a career. But no job offer came. He found himself sleeping on park benches. Then a picture of Casarez offering his resume to motorists at a Mountain View intersection went viral. Now about 200 companies have expressed interest. A heap of seaweed on the California coast. 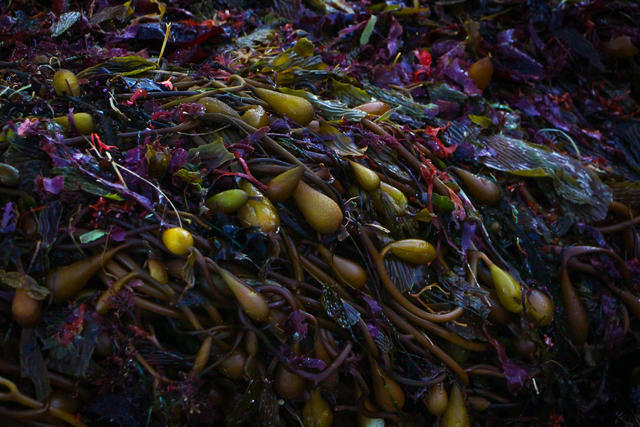 The Northern California coast is at the heart of a billion-dollar seaweed industry. But poachers and foragers are plundering the landscape, leaving indigenous harvesters to contend with a ravaged ecosystem. A canal flows past farmland owned by Mike Abatti. 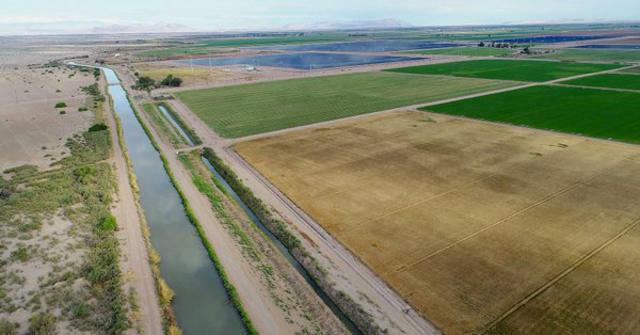 A farm baron is building a water and energy empire in the Imperial Valley. Mike Abatti counts many elected officials as friends. Time and again, they've made decisions that have advanced his interests in one of California's most impoverished areas. A $100,000 gift to U.S.C. from Mark Ridley-Thomas, a powerful Los Angeles County supervisor, somehow ended up in the account of a nonprofit run by his son. The university, already plagued by scandal, referred the case to federal prosecutors for criminal investigation. 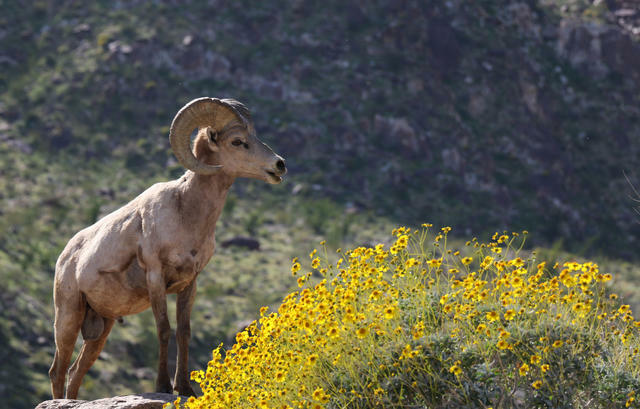 A bighorn sheep in the Anza-Borrego Desert State Park. More than 2,800 scientists have backed a paper on the dire threat to the environment posed by President Trump's border wall. It won’t just stop people, they argue. It will ruin the lives of animals that travel between the U.S. and Mexico such as bighorn sheep, Sonoran pronghorn, and Mexican gray wolves. Food critic Brad A. Johnson delivered a vicious review of the newly opened Left Coast Brewing Co. in Irvine. "This is how I imagine 3-D printed meat might taste if the printer were running low on toner," he wrote. 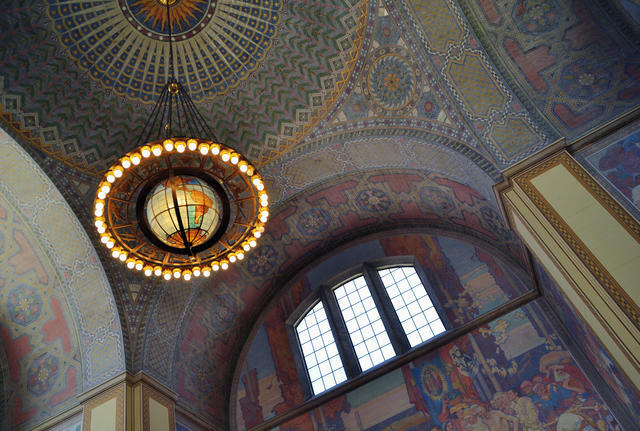 The Lodrick M. Cook Rotunda at the Central Library in downtown Los Angeles. You can use your Los Angeles library card to get free access to nearly unlimited audiobooks. The same is true of many California library systems. Here are the details. Zzyzx is now the site of a research center. • There's a town in the Mojave Desert named Zzyzx that was founded by a legendary huckster. Curtis Howe Springer was an Alabama-born radio evangelist and medical quackery salesman who grew restless during his retirement in Depression-era Los Angeles. 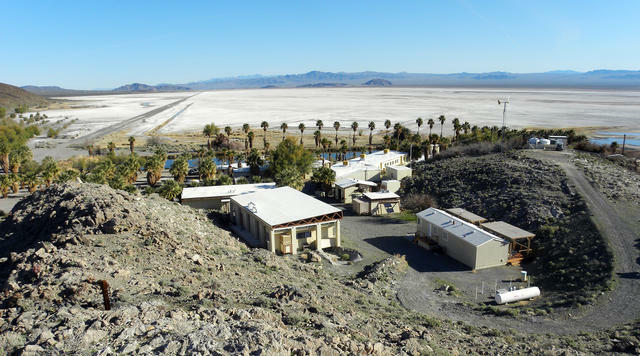 He decided to create a retreat center dedicated to healthy living and filed a mining claim on 20 square miles in the Mojave Desert about four miles off Interstate 15. A compound was built that included a dining hall, church, library, and accommodations for more than 100 guests. It was popular. California specialty license designs, clockwise from top left, “Whale Tail,” “Yosemite Conservancy,” “California 1960s Legacy,” and “California Museums." • The contest for most popular specialty license plate in California isn't even close. The D.M.V. 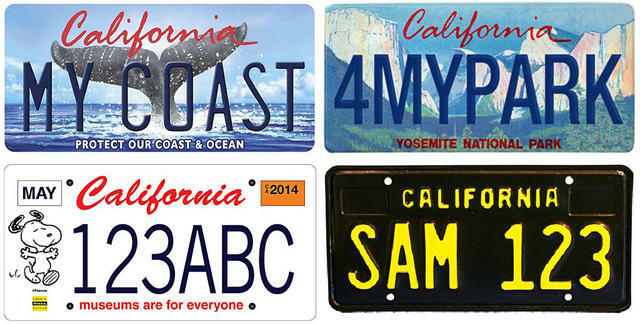 offers a number of specialty plates — featuring images such as Yosemite, a whale's tail, and Snoopy — with proceeds for their sales going to various charities. The most popular is the “California 1960s Legacy” plate. Introduced in 2015, it revived the plain black background and yellow lettering used during the "American Graffiti" era. According to data pulled by the S.F. Chronicle, 155,579 of the "Legacy" plates were ordered in 2017. The No. 2 plate — called “Kids” and featuring a handprint — got a mere 10,564 orders. 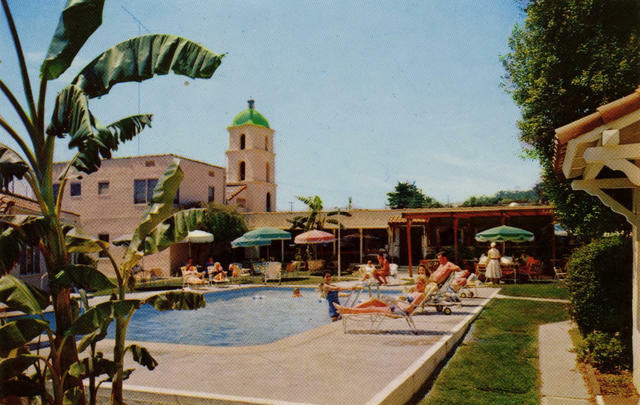 A postcard of the Motel Inn, circa 1950. • The world's first motel was built in 1925 in San Luis Obispo. The opening of the Motel Inn coincided with the rise of the automobile. At the time, poor roads meant the drive between Los Angeles and San Francisco took two days or more. That created a need for a comfortable place to sleep for a single night near the mid-point.